Waste management requires a well equipped, experienced and knowledgeable company. 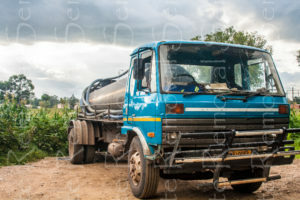 WRS is a renowned waste management company in Harare and Zimbabwe. We operate in all residential areas in Harare that include Mbare, Kuwadzana, Mufakose, Glen View, Mt Pleasant, Hightlands, Eastlea, Borrowdale Brooke and all other areas. We have got an efficient team that is available all the time, even in emergencies to take care of your waste needs. We have different types of waste that we can take care for you. At WRS, we take care of your solid, liquid and hazadous waste needs. We have invested human, financial and technical resources in all these waste categories to ensure that our clients’ needs are met at all times. According to DEC, solid waste are any discarded or abandoned materials. Examples, include waste tyres, scrap metal, latex paints, furniture and toys, garbage, appliances and vehicles, oil and anti-freeze, empty aerosol cans, paint cans and compressed gas cylinders, construction and demolition debris, asbestos. Waste Removal Services will take care of all your needs. WRS is highly experienced in servicing domestic and industrial waste systems and your septic tank health. Our clients for this service include private homes, food processing, manufacturing businesses, restaurants and fast ffod chains, local government authorities and rural district councils.